ViaGro 500mg Male Enhancement capsules pose a serious risk to your health and should not be taken. 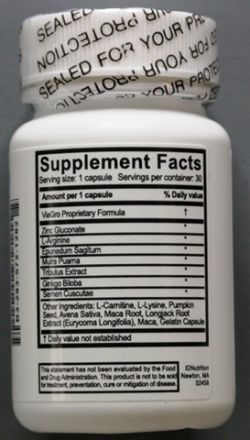 the capsules contain the undeclared substances theophylline and caffeine. Consumers are advised that theophylline is a prescription only medicine in Australia and prescribed as a bronchodilator. The supply of ViaGro 500mg Male Enhancement capsules containing undisclosed theophylline and caffeine is illegal. 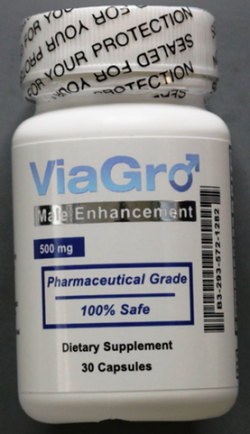 ViaGro 500mg Male Enhancement capsules have not been assessed by the TGA for quality, safety or efficacy as required under Australian legislation, and the place of manufacture is not approved by the TGA. Stop taking ViaGro 500mg Male Enhancement capsules and take any remaining capsules to your local pharmacy for safe disposal. The TGA is working with the Australian Border Force (ABF) to help stop future shipments of ViaGro 500mg Male Enhancement capsules from entering Australia.